Located in the beautifully landscaped and immaculately maintained gated community of Falling Waters, Rosewood is the perfect location just minutes from 5th Avenue South and it's acclaimed shopping, restaurants and beaches. 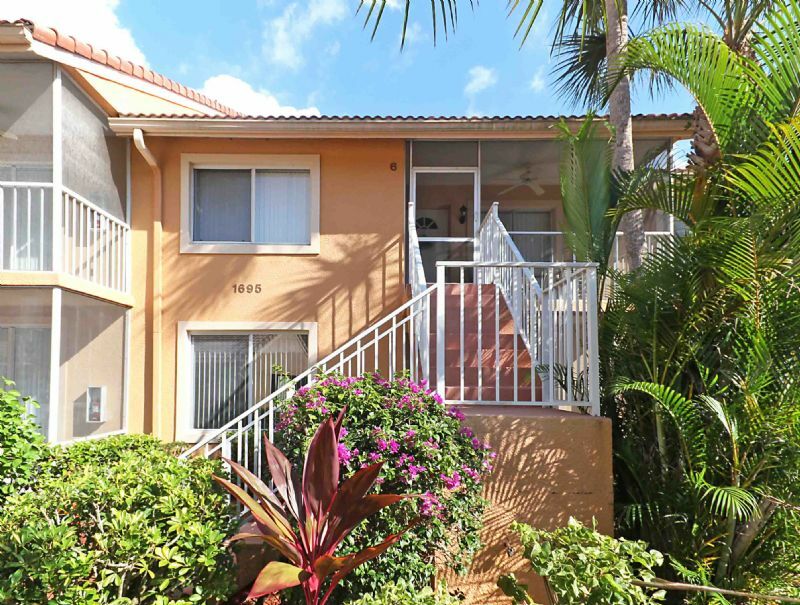 This pristine 2 bedroom / 2 bath unit is tastefully furnished and offers over 1,300 square feet to comfortably accommodate your family and guests. The living room features soaring volume ceilings and has a full wall of glass sliders that open onto a screened balcony where you can enjoy relaxing views of the lake, fountain and landscaped grounds. The sunny eat-in kitchen is fully stocked with all housewares and modern appliances. The spacious master bedroom suite features a king bed and the bath has dual vanities, a tub plus a step-in shower. Enjoy flat screen TVs in every room, unlimited Wi-Fi, full-size washer/dryer and more!. Community amenities include a clubhouse offering organized events, night-lit tennis courts, bocce courts and one of Naples largest resort-style pools.